The age of the sedimentary basement of the Ganga Valley in northern India, which is represented by the entirely subsurface Ganga Supergroup, is key for addressing issues related to the tectonic history of the Himalaya. However, the stratigraphic correlations between the Ganga Supergroup in the Ganga Valley, the Vindhyan Supergroup in cratonic India to the south, and Proterozoic successions in the Lesser Himalaya to the north have long been a matter of controversy. This is largely because of the poor age constraint of the Madhubani Group of the upper Ganga Supergroup, which has been variously interpreted as Proterozoic, lower Palaeozoic, or even Mesozoic. To address this issue, we used a low manipulation maceration technique to extract organic‐walled microfossils from the Ujhani and Tilhar formations of the lower Madhubani Group. Our study recovered a total of 24 taxa, including Devisphaera corallis gen. et sp. nov. The co‐occurrence of Trachyhystrichosphaera aimika, Caudosphaera expansa and Annulusia annulata in the lower Madhubani Group indicates a late Mesoproterozoic to early Neoproterozoic age. Thus, the biostratigraphical data suggest a >300 myr depositional gap between the Madhubani Group and the immediately underlying Bahraich Group, which has been independently constrained to be upper Palaeoproterozoic to lower Mesoproterozoic in age. 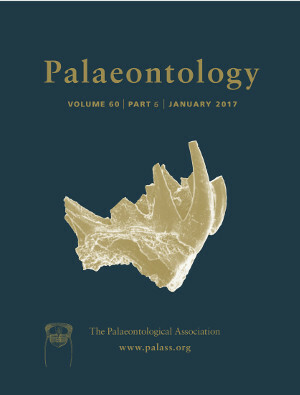 Therefore, the first‐order stratigraphic architecture, with a Palaeoproterozoic–Mesoproterozoic succession unconformably overlain by a Mesoproterozoic–Neoproterozoic succession, is closely similar throughout the Vindhyan Basin, Ganga Valley and Lesser Himalaya, suggesting a shared sedimentary and tectonic history among them.